The site Wadi Hamarash 1 is located at an altitude of -50m (31.016783 Latid. ; 35.542582 Long.) on an extended plateau north-west of the junction of the al-Hasa and Hamarash-Suweif wadis. The Neolithic settlement extends over a circular flat area of 80m in diameter and dominates an arid plateau. The site is isolated and inaccessible, about a three-hour walk from the village of Safi, down at the Dead Sea level. Since 2007 a team of the University of the Aegean has participated in a survey in the Safi area (Politis et al 2009) and located several prehistoric sites along the river Wadi al- Hasa. In 2008 the University of the Aegean started systematic archaeological excavations at Wadi Hamarash 1 which continued in 2009, 2010 and 2011 (Sampson 2011, 2011a; Sampson in print). So far, five areas with an extent of 1600 sq. meters have been investigated. Thick walls that belonged to two-storey buildings and thin walls, separating rooms within buildings have been exposed. More than 100 loci, rectangular or trapezoid in shape, with rounded corners were excavated in this area. Some sites were excavated to the virgin soil and were revealed to contain two floors. Smaller rooms were connected to larger rooms via narrow openings. This architecture closely resembles the ones found at es-Sifiya (Mahasneh 2004) and Ghweir I (Simmons and Najjar 2000, 2001) in southern Jordan. Apart from the one thousand ground stone tools found, the recovered stone vases and flint artefacts (blades, pointed tools and cores) were also in the hundreds. The numerous millstones indicate extensive food preparation and cultivation of cereals presumably on the plateau, with its easy access to fresh water from the wadi. Four charcoal samples collected from these levels gave the following radiocarbon dates: 8660±45 (7709-7598 BC), 8650±60 (7720-7590 BC), 8710±50 (7760-7600 BC) and 8425±45 BP (7566-7477 BC) that correspond to the early stages of PPNB given the presence of arrowheads of the Helwan type (Gopher 1994). The site seems contemporary with the settlements Ghweir I (Simmons and Najjar 2000, 2001) and es-Sifiya (Mahasneh 2004). Recent researches show that the phase of Wadi Hamarash (PPNB), es-Sifiya, and Ghweir is the one that succeeds the PPNA in southern Jordan (Sajej 2004). In 2010 an exceptional rectangular building was excavated measuring internally 10.60X9.50m. It constitutes an independent building that does not relate with the dense layout of other buildings and does not follow the orientation pattern of the rest of the buildings.The masonry of the external side is exceptional and comprises slab stones combined with great consistency. In the southern part, the foundation wall’s in-depth is 1.65m, while in the northern part, the foundation was revealed at a smaller depth. Even though it looks as a rectangle or roughly square in shape, there is no absolute symmetry in dimensions. Hundreds of stones fallen from the walls were found both in the interior and the exterior area, indicating that the walls were of considerable height. Two main doors with stone thresholds exist in the building, in the western side and in the SW corner, 0.95m and 0.90m wide respectively. Three narrow openings are at small distance from each other at the western side. The construction of the floor was meticulous and included three phases. Initially there was a substratum comprising big stones and slabs. Then, small gravel mixed with earth was placed, and, finally, this was covered with white plaster. Unfortunately, the plaster was preserved in few areas, whereas the layer of gravel to a greater extent. In very few cases the plaster on the walls was preserved. What is original in the building is that on the walls had been created 9 niches for placement of posts that differ in size. It is characteristic that the niches are larger inside to house the wooden posts more efficiently. The difference in the size of posts is conclusive that in the area pre-existed a wooden construction with posts which in a later phase the residents of settlement attended to incorporate into the walls of the building. The walls could be as high as the roof, but they could also be lower for better ventilation. The asymmetrical position of the posts is indicative of a gabled roof constructed with beams and grasses. The providence for the drainage of rainwater shows that the roof was not horizontal. It is likely that posts also existed that stood out of the walls. A line of posts would be in the centre of the room, but because of the destruction of flooring no traces were found. Because of the big dimensions of the room a horizontal roof would present problems. By examining the ground plan of the building we realize that this was not precisely rectangular and probably this was dictated by the pre-existing wooden construction. The three narrow openings at the western side seem unnecessary, even though they could be purposeful since they are placed on the main face of the building that gives on to an open square with an extent of 200 sq.m. Next to its central entrance an extraordinary platform was found. A small niche in this platform probably served as a base for an ortholith found in situ. Characteristic is that in the building itself minimal discoveries were made, such as a few grinders and lithics, and not at floor level. In general, the floor of the building has suffered big destruction after its abandonment due to its small depth. In several spots, pits with large stones exist. The only structure in the building was a rectangular hearth measuring 1.00X0.80m, in square 24, that is asymmetrical compared to the walls. Near the hearth, (square 33) a circular pit surrounded by small stones was revealed at floor level, containing a flint nodule with roughly spherical shape (diam. 0.43 and height 0.35m). One side of the stone featured a flat surface with circular dents with diam. 0.17m, and below it, two similar incised symbols. Each symbol is marked by a straight line with two emerging aerials. A precisely similar symbol was found in Locus 20 on an ellipsoid sandstone object with dimensions 0.18X0.16m and thickness of 0.03m. Several similar objects without incised symbols were found from the beginning of the excavation in Areas I and II. The use of these objects is for the moment inexplicable, however the presence of the incised symbol on one of them could also characterize the other similar objects as items with a symbolic significance. The same symbol on a sandstone plaquette was found in 2010 on another nearby site (Wadi Hamarash 5) very close to the river. A settlement in such a remote area, far from fertile plains, as the Safi area, is an unusual phenomenon. It would be more natural for a settlement of this period to be found in the valley next to the Dead Sea, irrigated by the river Wadi al- Hasa. A big settlement (regional center) probably existed in this area that has not been found yet. Wadi Hamarash 1 had the advantage of the river, but the cultivable area is small compared to that of Safi. It seems improbable that the residents of the site exploited the water of the river and transported this to the plateau, even if the level was higher than today. This would require technology that the residents of the site did not possess. The settlement probably constituted part of a “hydraulic society” that had established a singular culture along a river that had abundant water all year long. The recent discovery of two flint balls in the calcareous sediments that constitute the base of the plateau in Wadi Hamarash 1 have changed our initial opinion that this objects were imported from a distance and were therefore particularly precious. However, they constituted something unique and could lead to striking symbolisms about the people of this period. Perhaps the belief that these balls fell from the sky after natural disasters is proportional to modern beliefs of people living in the countryside that along with lightning stone axes fall from the sky. These objects have different sizes, weight and form, from perfectly circular to that of pressed ball. A ball that was found under the plateau next to the path that leads to the river was quite big and it was impossible to be carried to the settlement. The ball with the symbols that was found in the building could be transported to the area with great difficulty. A similar spherical nodule was found outside the symbolic building, at a small distance from the southern entrance. Its dimensions were smaller, with diam.0.36m and height 0.20m. As for the incised symbols, they could allude to a human body with upraised arms. Depictions of human forms on clay vessels or other materials are not rare in the Neolithic of the Balkans. A human figure with raised hands in Hungary dates back to the Bukk phase (Kalicz 1980, fig. 19). A similar incised symbol on vessels or figurines of the Vinca culture in Serbia is included in the early Neolithic writing of the Balkans (Winn 2009, 586, Pesic 2003, fig. 5), while a similar symbol on ceramics from Troia I (Winn 1981, 248, Haarmann,fig. 2) has also been found. In any case, to my knowledge, this symbol has not been found in the Near East. However, in Saudi Arabia PPNB incisions on rocks have been found that portray schematic human figures. Two of them resemble the symbols found in Wadi Hamarash 1(Νayeem1990, 99; Khan 1988). Two important questions arise: Is it possible that a type of adoration was popular in the ΡΡΝΒ, performed by the community or certain privileged individuals in certain particular areas? 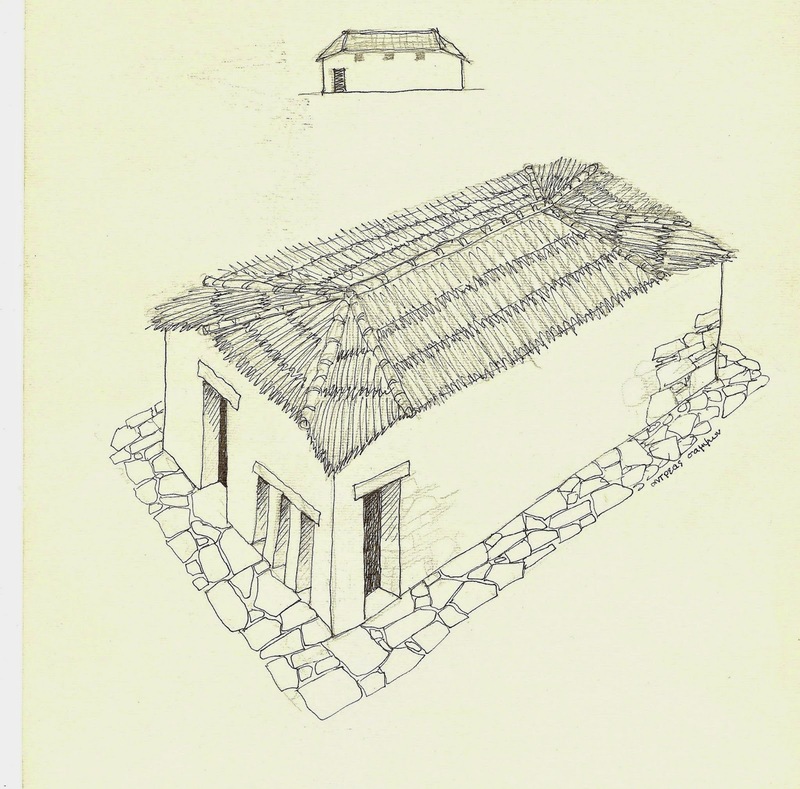 Would this be a communal area such as the rectangular building where they carried out their religious duties? Gebel (2002) is uncertain as to whether during this period featured a social hierachy or a segregation between religion and daily needs. Kalicz N., Clay gods. The Neolithic period and the Copper Age in Hungary, Budapest. Haarmann H. 2008, The Danube script and its legacy, in J. Marler (ed. ), The Danube script, 61-76, California. Gebel H. K. 1999, Ba’ja Neolithic Project 1999. Architectural findings, Neo-lithics 3, 18-21. Gebel H. K. 2000, The 2000 season at Late PPNB Ba’ja, Neo-lithics 2-3, 20-22. Gebel H K. 2002, The Neolithic of the Near East. An essay of a ‘polycentric evolution' and other current research problems, in H. J. Nissen (ed. ), Material culture and mental spheres, 314-324. Gebel H. K. 2004, Lithic economic systems and early sedentism in K. von Folsach, H. Thrane and I. Thuesen (eds), From handaxe to Khan, 56-65, Aarhus Univ. Press. Gopher A. 1994, Arrowheads on the Neolithic Levant, Indiana. Khan M. 1988, The prehistoric rock art of Northern Saudi Arabia. A synthetic approach to the study of the rock art from Wadi Damn, NW of Tabuk, PhD thesis, Univ. of Southampton. Mahasneh H. M. 2004, Spatial and functional features of Area B in Neolithic es-Sifiya, Jordan, in H. D. Bienert, H. K. Gebel and R. Neef (eds), Central settlements in Neolithic Jordan, Berlin. Νayeem Μ. Α. 1990, Prehistory and Protohistory of the Arabian peninsula, vol. I.
Pesic R. 2003, Vincasco pismo. I drugi gramatoloski ogledi, Beograd. Politis K., A. Sampson, M. O’ Hea 2009, Ghawr as-Safi survey and excavations 2008-2009, Annual of the Department of Antiquities of Jordan 53, 297-309. Sampson A. 2011, Wadi Hamarash. A new MPPNB site in Jordan, Annual of the Department of Antiquities of Jordan 54. Sampson A. 2011a, The excavation of 2010 at the Wadi Hamarash-Suweif (Ghawr as-Safi), Annual of the Department of Antiquities of Jordan 54. Sampson A. in print, The Wadi Hamarash archaeological project at Safi, Jordan, in the Proccedings of the Prehistory workshop in Amman 2009. Sayej G. J. 2004, The lithic industries of Zahrat Adh-Dhra’ 2 and the Pre-Pottery Neolithic period of the Southern Levant, BAR Int. 1329. Simmons A. H. and M. Najjar 2000, Preliminary field report of the 1998-1999 excavation at Ghweir I, a pre-pottery Neolithic B community in the Wadi Feinan region of southern Jordan, Neo-lithcs, (02,03), 4-6. 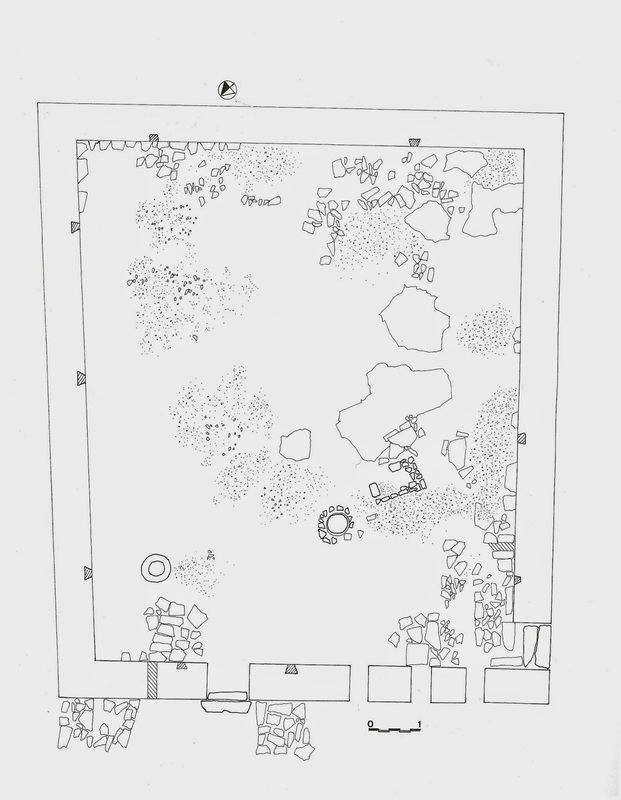 Simmons A. H. and M. Najjar 2001, Preliminary report of the 1999-2000 excavation season at the pre-pottery Neolithic settlement of Ghweir I, southern Jordan, Neo-lithics (02), 6-8. Winn S. M. M. 2009, The Danube (Old European script) in J, Marler and M. R. Dexter (eds), Signs of Civilization. Neolithic symbol system of Southeast Europe, California, 49-62.